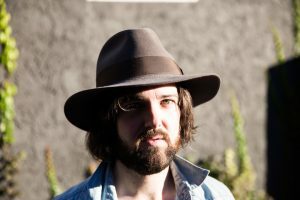 With eight albums under his belt, Jordie Lane is widely regarded as one of Australia’s finest singer-songwriters. His acclaimed album ‘Glassellland’ made its debut into the top 100 US Americana chart, and won a slew of praise and awards, including Double J ‘Album Of The Week’, nominated for The Age Music Victoria Awards, and winning ‘Tower Of Song Of The Year’. Descriptions of Lane’s voice land somewhere between Rodney Crowell and Ron Sexsmith, with a musical style driven always by what the song demands of him. From finger picking folk to rock’n’roll roots to storyteller ballads, it is a voice that has taken him around the world, performing major festivals in the US, Canada, UK and Australia, and touring with international legends, Billy Bragg, Old Crow Medicine Show, Neko Case, Cat Power, The Weakerthans, Ruthie Foster, Mary Chapin Carpenter and The Moody Blues.